The lifestyle and job responsibilities of a corporate flight attendant is quite fascinating— especially if you are not part of the industry. I would venture to guess that you probably don’t have any concept of what a private jet flight attendant has to do for their ‘day job.’ I had no idea, before I stepped into private aviation and attempted to become a corporate flight attendant, what it would really be like. I have since learned that the job is incredible, surprising, fascinating, a hustle, rewarding, and one big world of learning and adventure. Not everyone will get a chance to work or travel on a private jet in their lifetime, but there are some on Instagram who are gifting you a glimpse into their world. Here are five private jet flight attendants who share their culinary adventures, travel and food prepping tips, destination advice, and career with us. Keep doing your thing, ladies and gentleman. You inspire me to no end. Follow the five below to discover your own inspiration and share in their adventure. To put it lightly— Jamie is a Goddess of the private jet skies. In my opinion, she curates the best instagram on how to create the ultimate private jet experience for clients. Her advice and how-to tips, source the best gourmet foods, cook and bake at 45,000ft are unbelievable. I gather an endless amount of inspiration and learn so much from simply following her instagram. And to top it off, she is as sweet and beautiful on the inside as she is on the outside. It’s not even an option to follow @Flightess. You must. Jamie will change your life. Lauren is one of my besties and also one of the best corporate flight attendants that I know. She is quite the culinaire extraordinaire and I am constantly awed by what she is able to concoct and create on an aircraft. To top it off, she makes it look effortless. @Wanderlust_flight is the perfect example of how far you can make it in corporate aviation when you set a goal, are determined, professional, work hard, and strive for excellence. For those needing food inspiration and life inspiration, Lauren is your girl. Griffin is the guy you need to follow if you need some #MondayMotivation in your life or if you need an example of what accomplishing the impossible looks like. Griffin has done a phenomenal job at growing in an aviation career. Beginning as a commercial flight attendant at 19, to becoming one of the most successful male corporate flight attendants in the world by age 23, Griffin works harder than anyone I know. He will inspire you, he will push you, and he will make you want to take the steps to design your own life. Follow @griffincbruehl to up your life game. Kaitlin has the cutest blog ever! 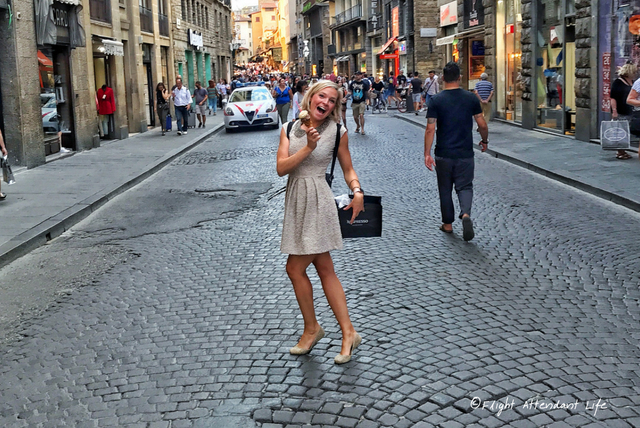 I mean, how could I not LOVE it when one of her featured posts is titled, “Confessions of a Traveling Coffee Addict.” Girl after my heeeeaaaart! Not only does Kaitlin curate exceptional content for her online space, www.taketoflight.net, but her instagram is noteworthy, making even the most seasoned traveler in us want to explore more. Follow @take_to_flight and her blog! Highly recommended. If you want the best tips on where to go and what to do at a destination— you must follow @beenthereNEVERdonethat. Alicia curates the best undiscovered corners of the luxury traveler’s globe thanks to her job as a corporate jet flight attendant. When talking to Alicia about a place that she has been, she will excitedly and enthusiastically explode with a list of places to go, things to do, and food you MUST eat. Soon, not only will Alicia share visually her favorite adventures, but her blog, which is coming soon, will offer greater insight into what to do when you have been there a million times (…Can we say ‘Teterboro,’…hahaha). And of course, for all the latest and official #flightattendantlife adventures follow @thefalife on Instagram.